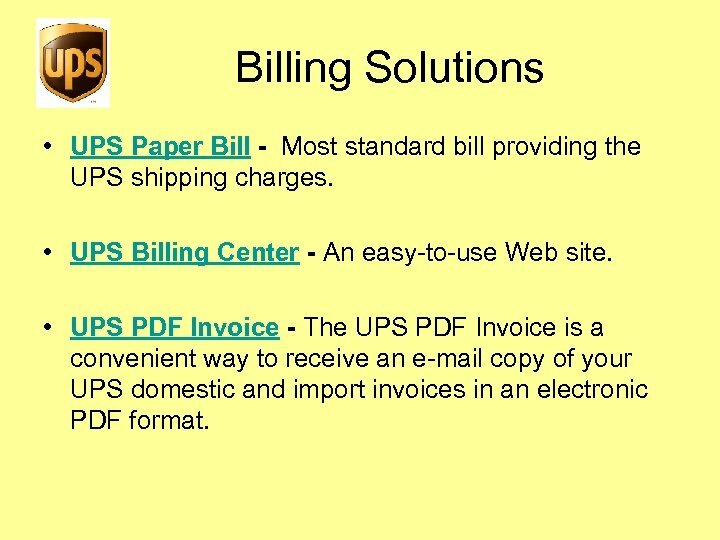 Billing Solutions • UPS Paper Bill - Most standard bill providing the UPS shipping charges. 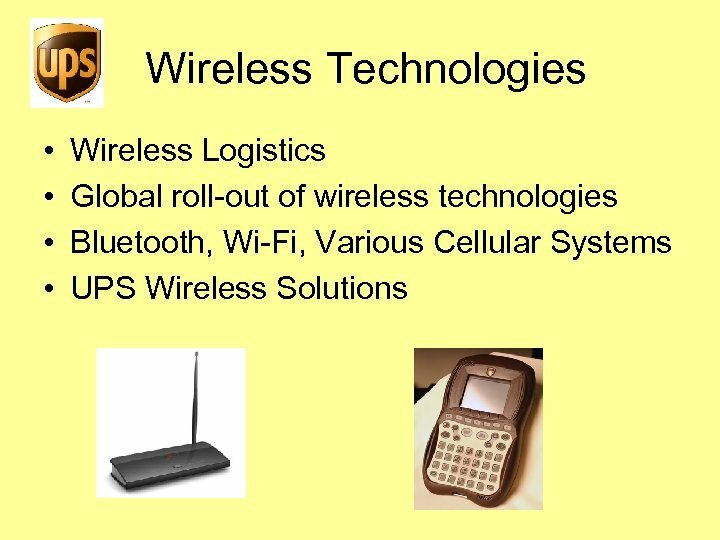 • UPS Billing Center - An easy-to-use Web site. 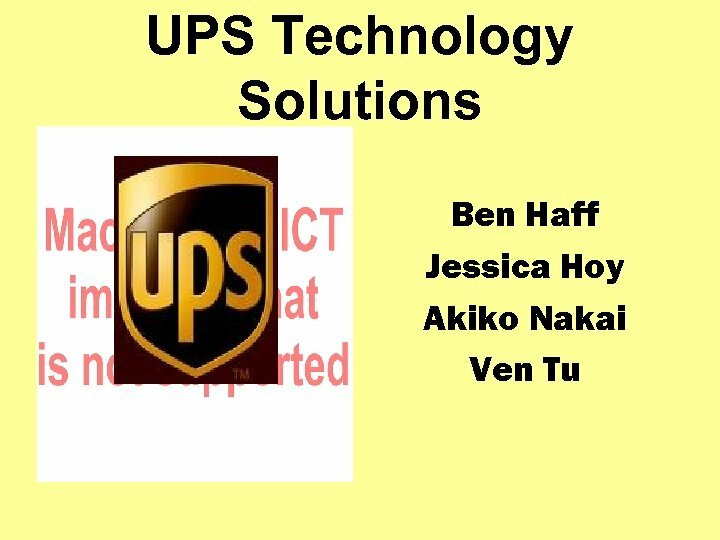 • UPS PDF Invoice - The UPS PDF Invoice is a convenient way to receive an e-mail copy of your UPS domestic and import invoices in an electronic PDF format. Billing Solutions Cont. 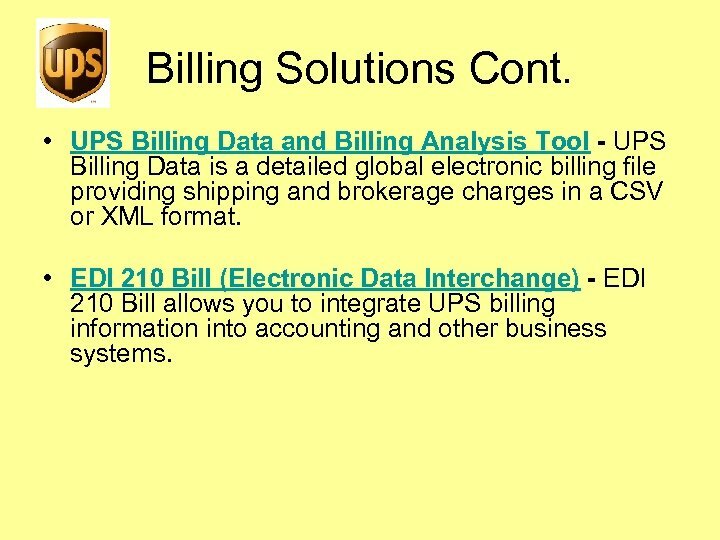 • UPS Billing Data and Billing Analysis Tool - UPS Billing Data is a detailed global electronic billing file providing shipping and brokerage charges in a CSV or XML format. • EDI 210 Bill (Electronic Data Interchange) - EDI 210 Bill allows you to integrate UPS billing information into accounting and other business systems. 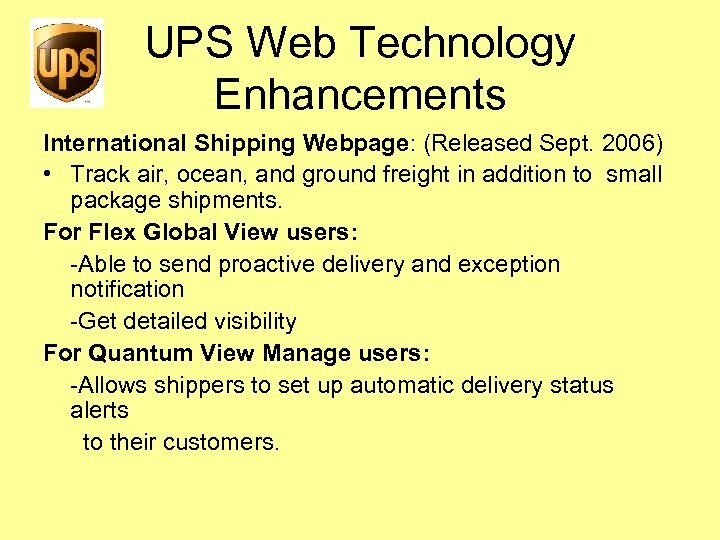 UPS Web Technology Enhancements International Shipping Webpage: (Released Sept. 2006) • Track air, ocean, and ground freight in addition to small package shipments. For Flex Global View users: -Able to send proactive delivery and exception notification -Get detailed visibility For Quantum View Manage users: -Allows shippers to set up automatic delivery status alerts to their customers. 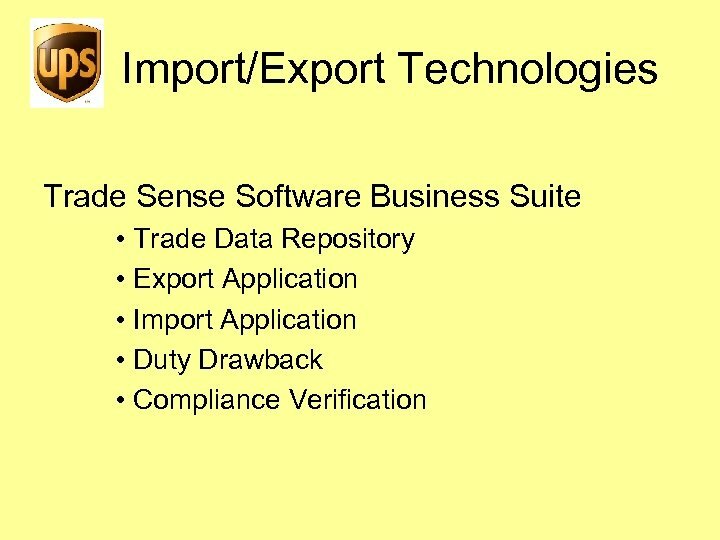 UPS Software Technology Enhancements (Released March 2007) • World. Ship 9. 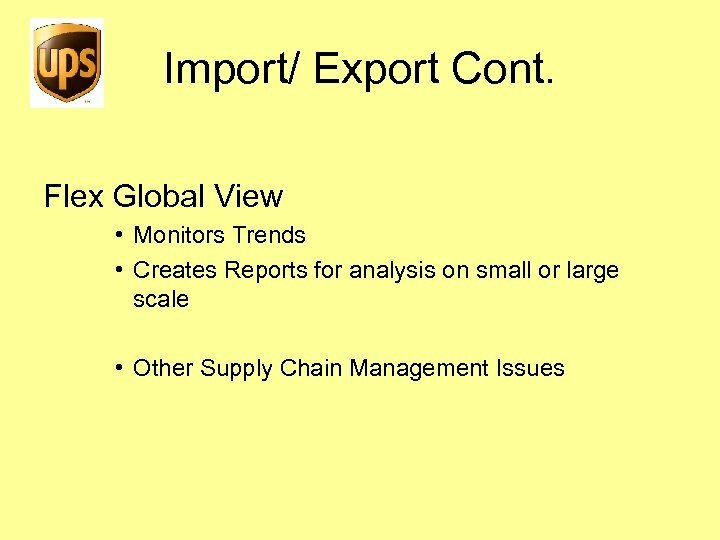 0 -Import shipping information into World. Ship via XML. -Now available in 14 languages. 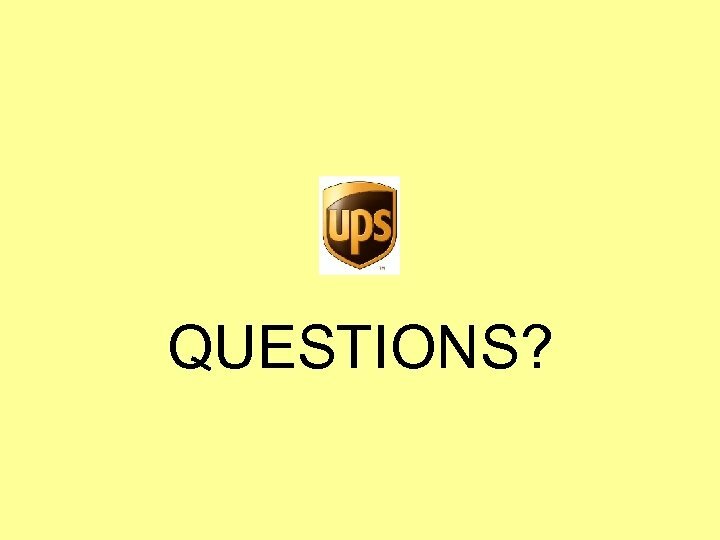 -Time-Definite delivery options for international shipments -Simplified billing terms. 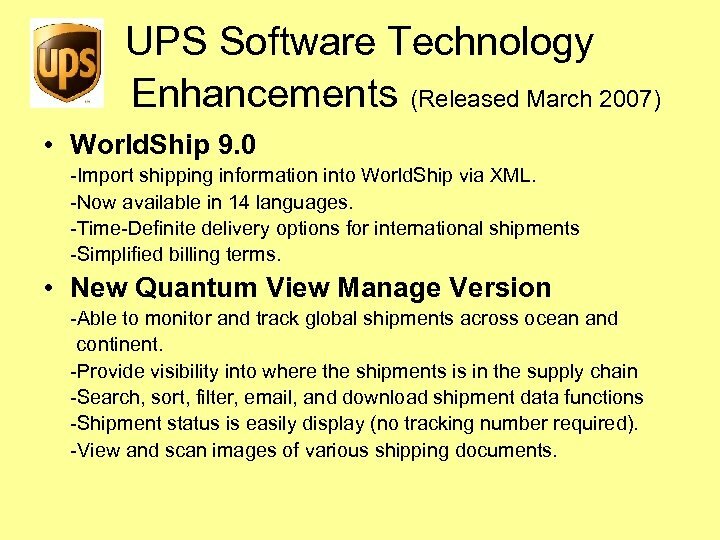 • New Quantum View Manage Version -Able to monitor and track global shipments across ocean and continent. -Provide visibility into where the shipments is in the supply chain -Search, sort, filter, email, and download shipment data functions -Shipment status is easily display (no tracking number required). -View and scan images of various shipping documents. 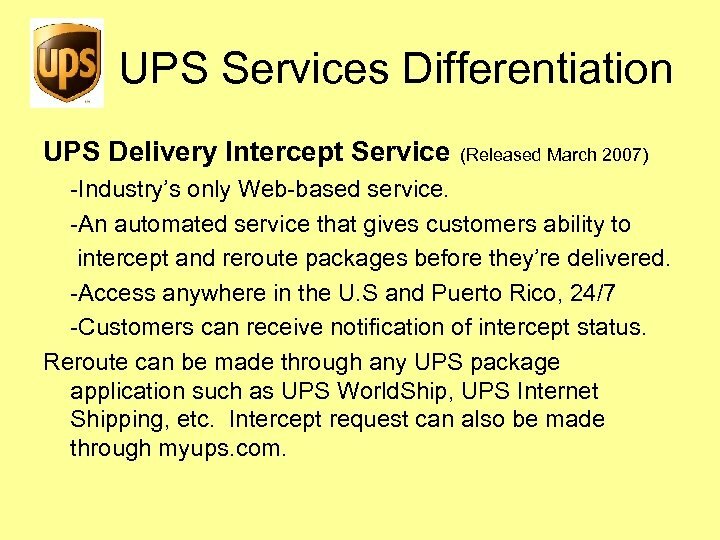 UPS Services Differentiation UPS Delivery Intercept Service (Released March 2007) -Industry’s only Web-based service. -An automated service that gives customers ability to intercept and reroute packages before they’re delivered. -Access anywhere in the U. S and Puerto Rico, 24/7 -Customers can receive notification of intercept status. 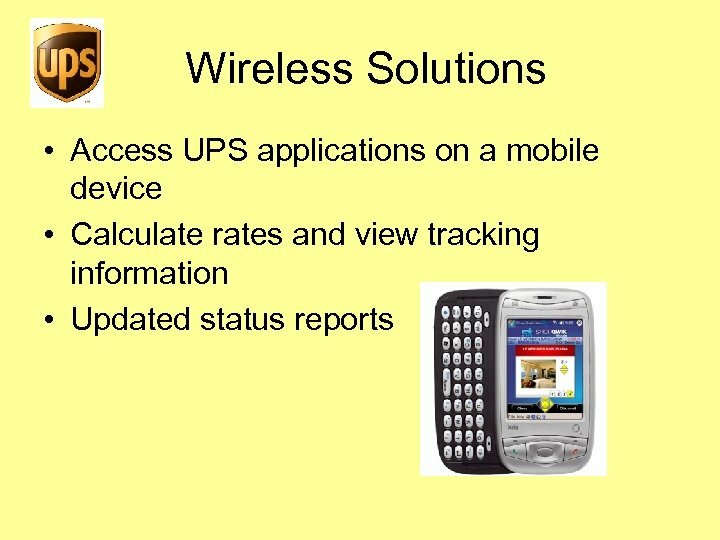 Reroute can be made through any UPS package application such as UPS World. Ship, UPS Internet Shipping, etc. 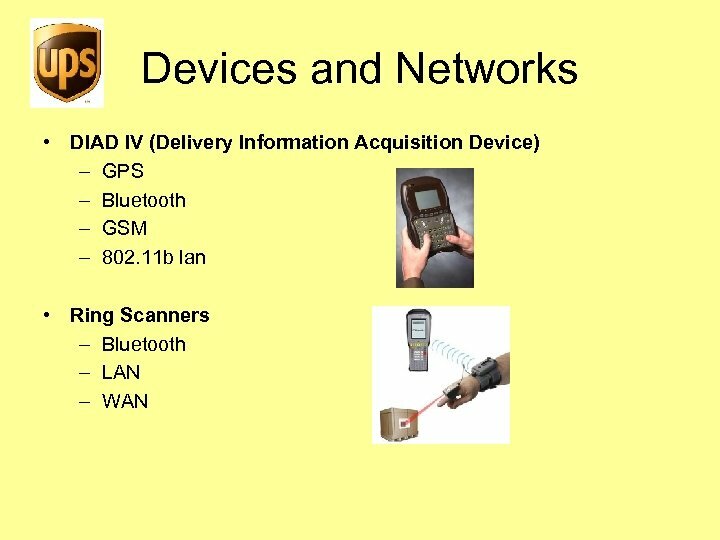 Intercept request can also be made through myups. com.